Here is an equilateral triangle with sides of length 1. Let's define a unit of area, $T$, such that the triangle has area $1T$. Here are some parallelograms whose side lengths are whole numbers. 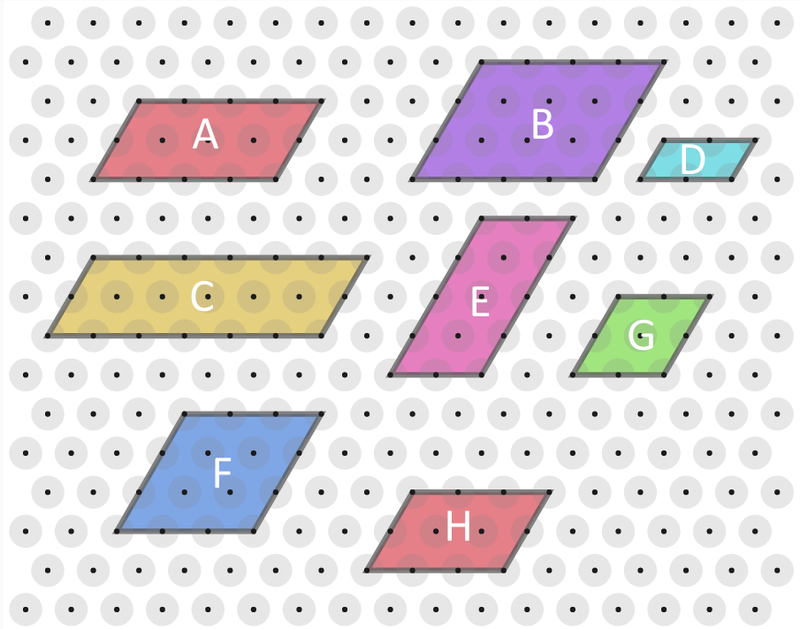 Can you find the area, in terms of $T$, of each parallelogram? Compare the results with the lengths of their edges. Can you find a similar result for trapeziums in which all four lengths are whole numbers? You might like to try More Isometric Areas next. 2D shapes and their properties. Sine, cosine, tangent. Triangles. Pythagoras' theorem. Ratio. Interactivities. Area - triangles, quadrilaterals, compound shapes. Quadrilaterals. Visualising. Generalising.